India, China and Japan are among eight countries temporarily allowed to continue buying Iranian oil as they showed "significant reduction" in oil purchase from the Persian Gulf country after the US reimposed crippling sanctions on Tehran, Secretary of State Mike Pompeo said on Monday. "We have decided to issue temporary allotments to a handful of countries responsible to specific circumstances and to ensure a well-supplied oil market. The US will be granting these exemptions to China, India, Italy, Greece, Japan, South Korea, Taiwan and Turkey," Pompeo told reporters here. He vowed that the US will be "relentless" in pressuring Iran and said each of those countries has already demonstrated "significant reductions of the purchase of Iranian crude over the past six months." Two of those eight have already completely ended imports of Iranian crude and will not resume as long as the sanctions regime remains in place, he said. "We continue negotiations to get all of the nations to zero," he said. Over 20 importing nations have zeroed out their imports of crude oil already, taking more than 1 million barrels of crude per day off the market. The Iranian regime to date since May has lost over USD 2.5 billion in oil revenue, he said. Additionally, today, 100 per cent of the revenue Iran receives from the sale of oil will be held in foreign accounts. Iran can only use this money for humanitarian trade or bilateral non-sanctioned goods, he asserted. The US on Monday imposed "the toughest ever" sanctions on a defiant Iran aimed at altering the Iranian regime's "behaviour". The sanctions cover Iran's banking and energy sectors and reinstate penalties for countries and companies in Europe, Asia and elsewhere that do not halt Iranian oil imports. 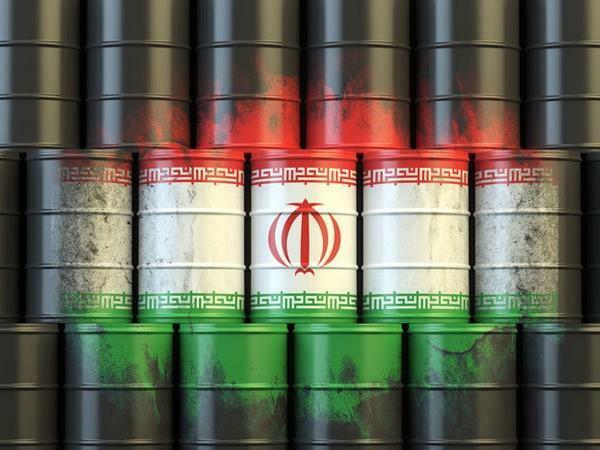 While the US had previously wanted countries including India to completely halt oil purchases from Iran by November 4, it seems to have relented considering the havoc the move to completely take out Iranian supplies from the market would have had on prices. India, the world's third-biggest oil consumer, meets more than 80 per cent of its oil needs through imports. Iran is its third-largest supplier after Iraq and Saudi Arabia and meets about 10 per cent of total needs. Currently, India pays its third largest oil supplier in euros using European banking channels. India has resisted Washington's call to reduce purchases to zero, citing the galloping energy needs of its 1.3 billion people. But at the same time, India has taken steps to reduce its oil purchase from Iran, which has already declined substantially. In May, President Donald Trump pulled the US out of the 2015 landmark Joint Comprehensive Plan of Action (JCPOA) terming it as disastrous". Under the Obama-era deal, involving five permanent members of the UN Security Council and Germany, Iran agreed to stop its nuclear programme in exchange for relief from economic sanctions. After the US' withdrawal from the deal, Trump signed fresh sanctions against Iran, which claims its nuclear programme is peaceful and for civilian purpose. Pompeo said the US has decided to grant narrow and temporary waivers to permit the continuation of three non-proliferation projects currently underway. "Allowing these activities to continue for the time being will improve ongoing oversight of Iran's civil nuclear programme and make these facilities less susceptible to illicit and illegal nuclear uses. Rest assured, Iran will never come close to getting a nuclear weapon on President Trump's watch," he said. Joining the press conference, Treasury Secretary Steven Mnuchin said that by taking such measures, the US is executing on the final actions to withdraw on the Obama administration's fatally flawed Iran deal. "This is part of a maximum unprecedented economic pressure campaign the US is waging against the world's largest state sponsor of terror," he said. On Monday, Treasury announced sanctions against more than 700 individuals, entities, aircraft and vessels as part of its largest ever single-day action targeting Iran. Over 300 of those sanctions are new targets. "In addition, we are relisting hundreds of individuals and entities that were previously granted sanctions relief under the JCPOA," he said.